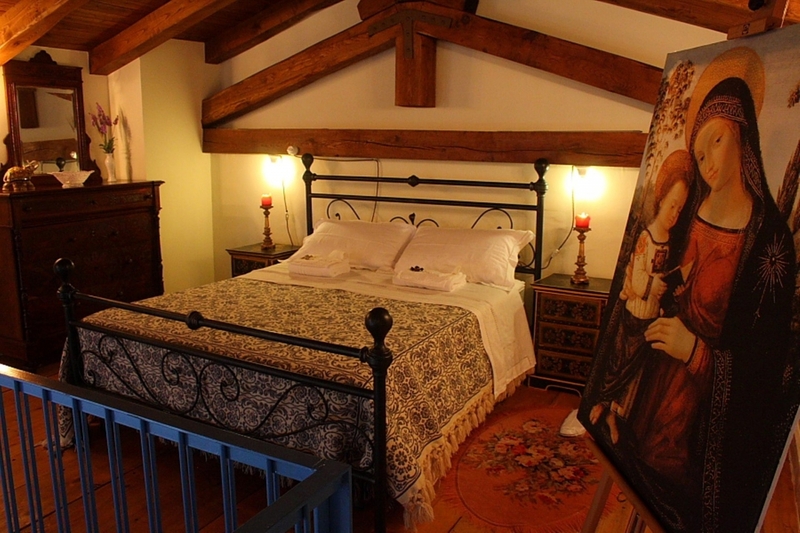 Inspired by a famous paintings by the homonymous painter, it is placed on two floors with a majestic wooden roof. 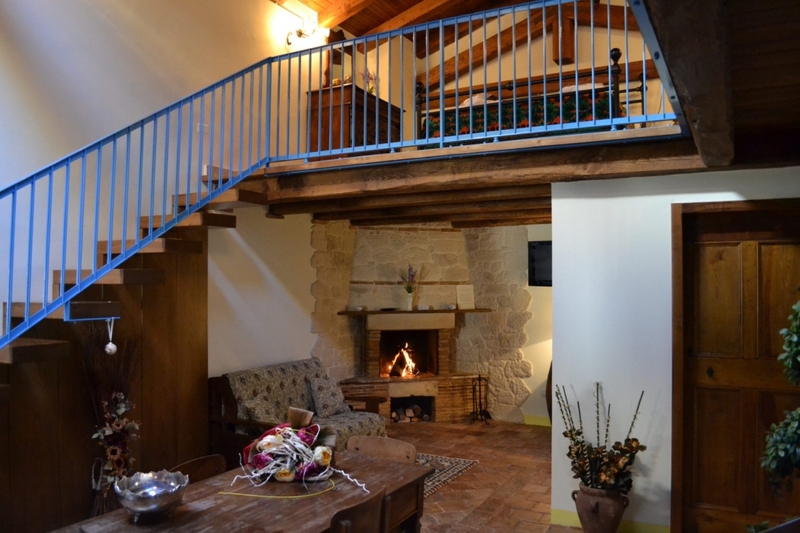 It has an impressive stone fireplace and a living corner. 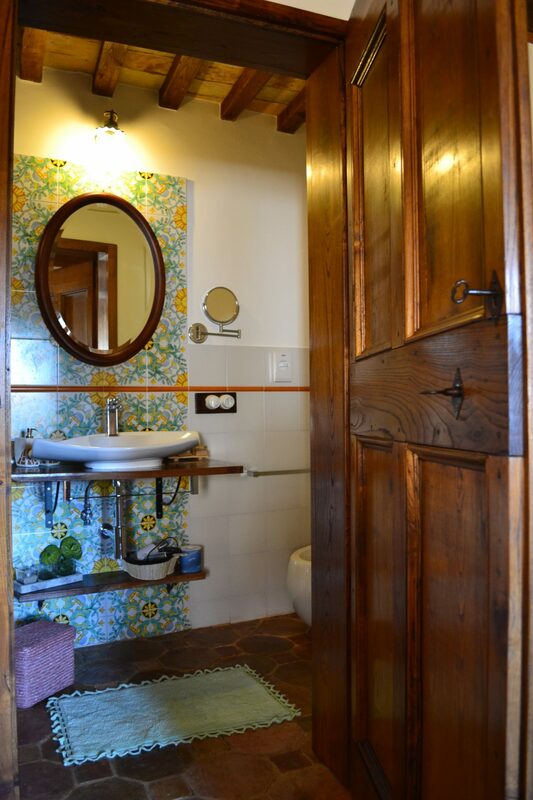 Large private bathroom decorated with hand-painted Vietri ceramics. 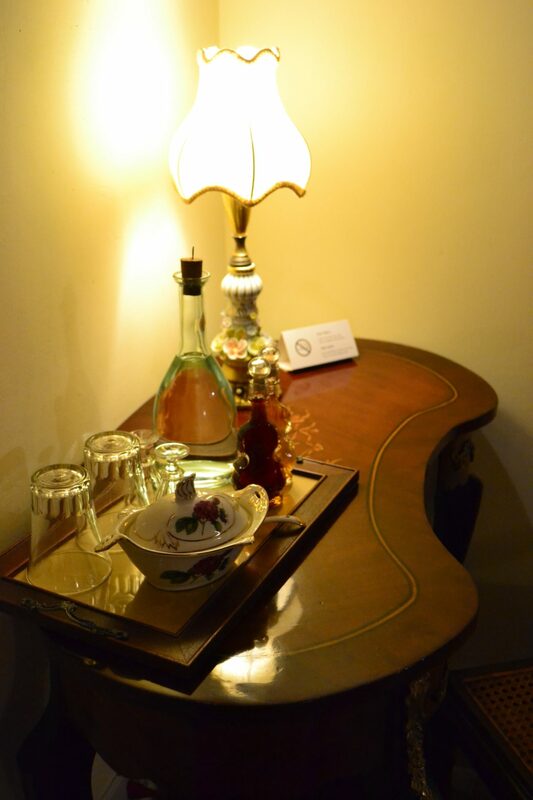 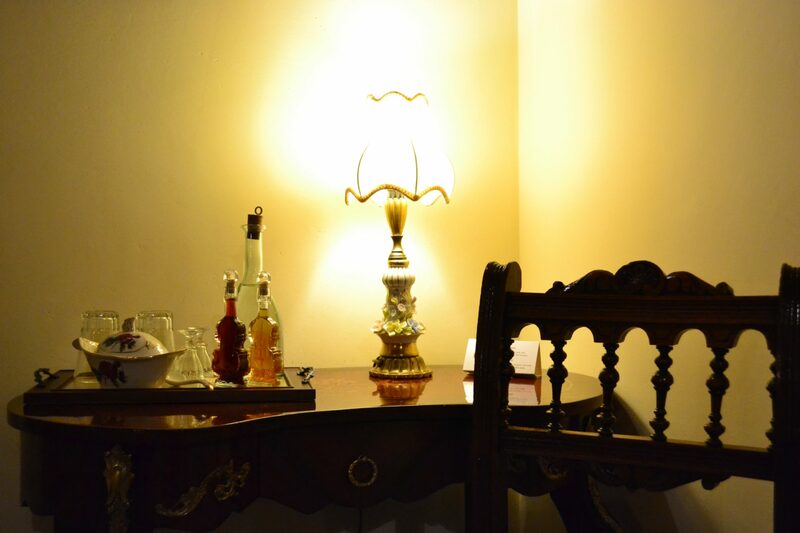 Furnishings are made in the style of the nineteenth century. 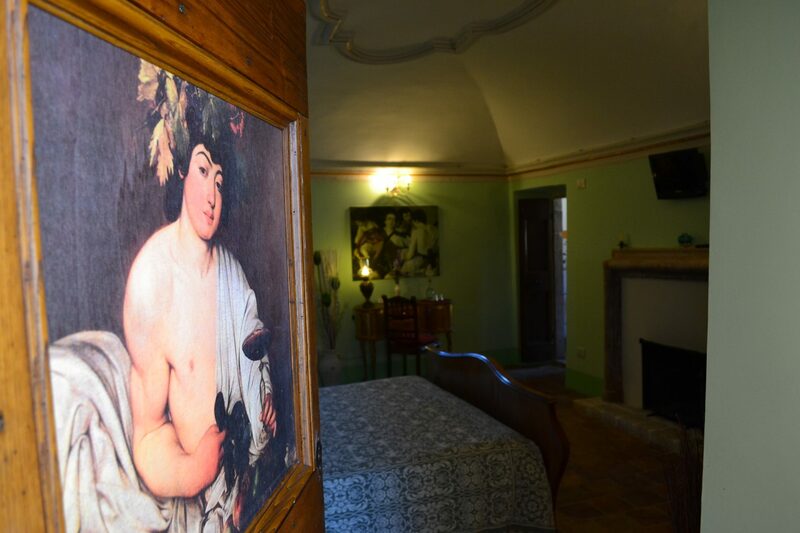 Inspired by the famous paintings of the homonymous painter “La Primavera e la nascita di Venere”, featuring typical eighteenth-century vintages and antique furniture. 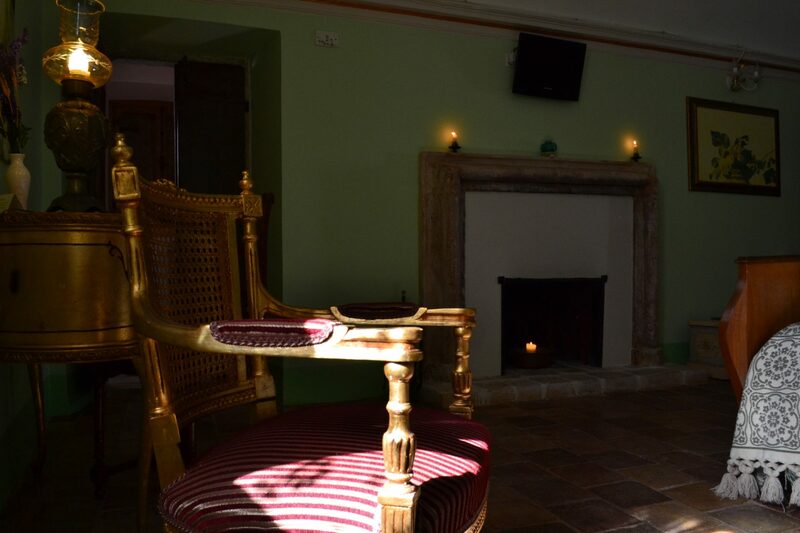 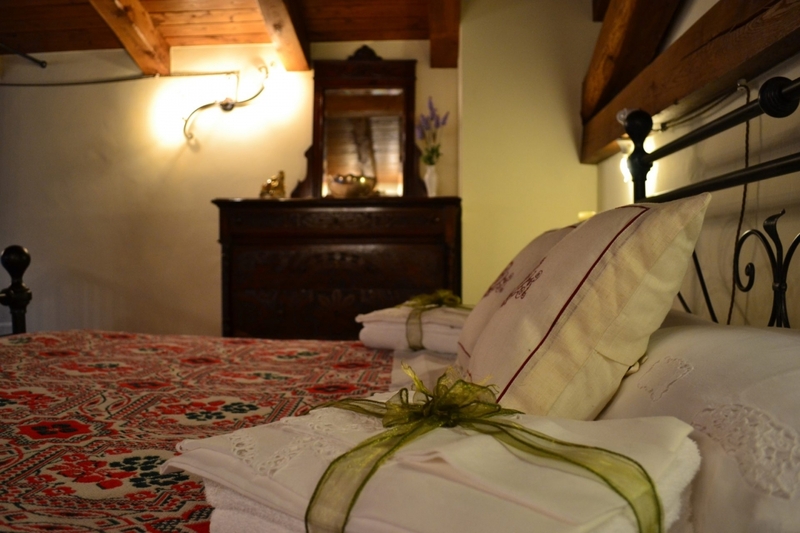 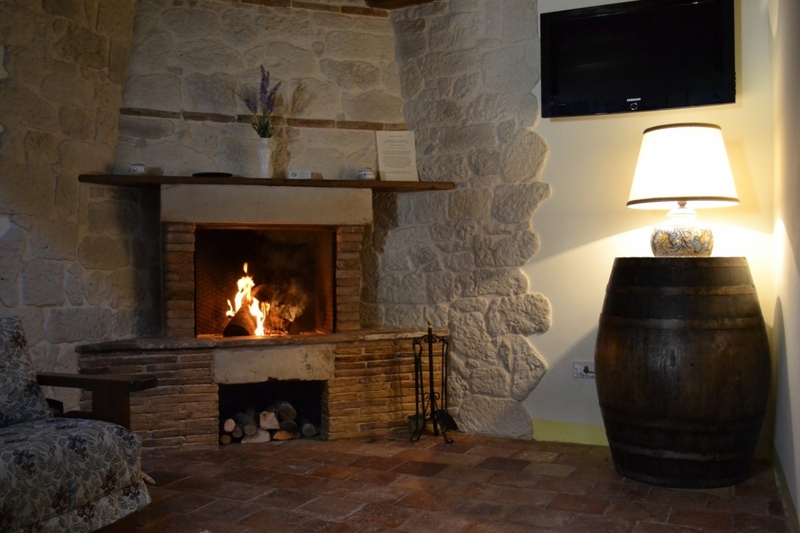 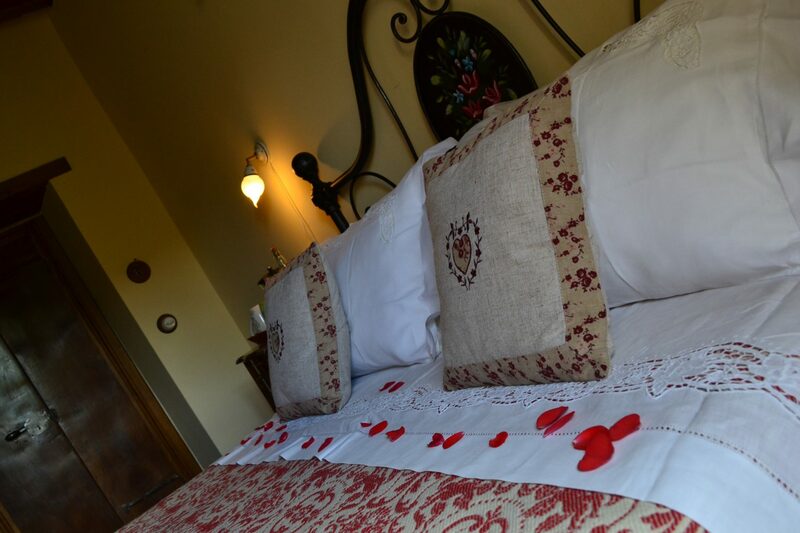 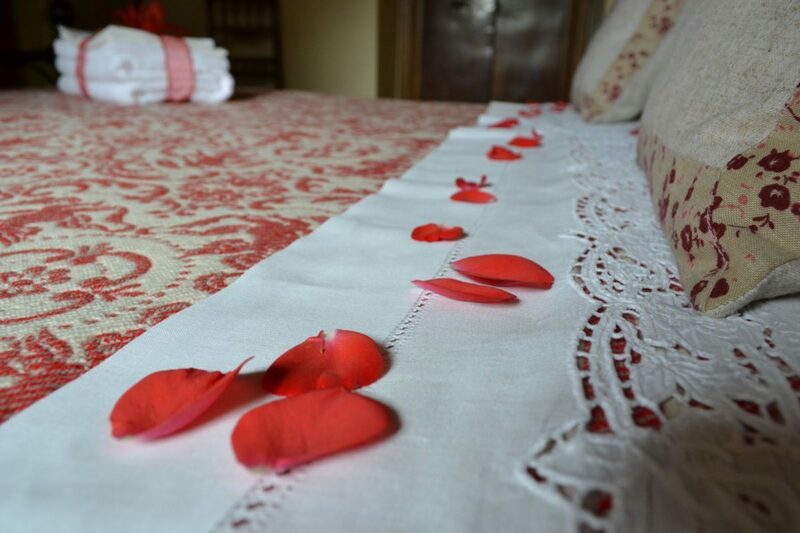 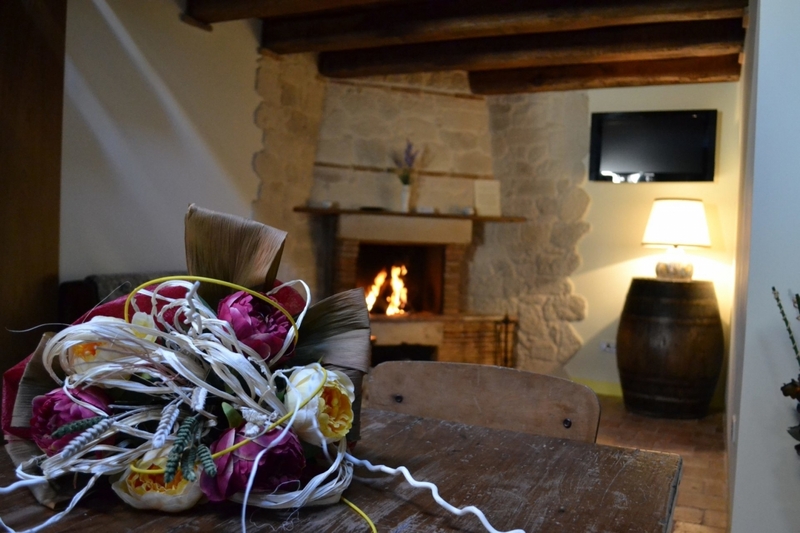 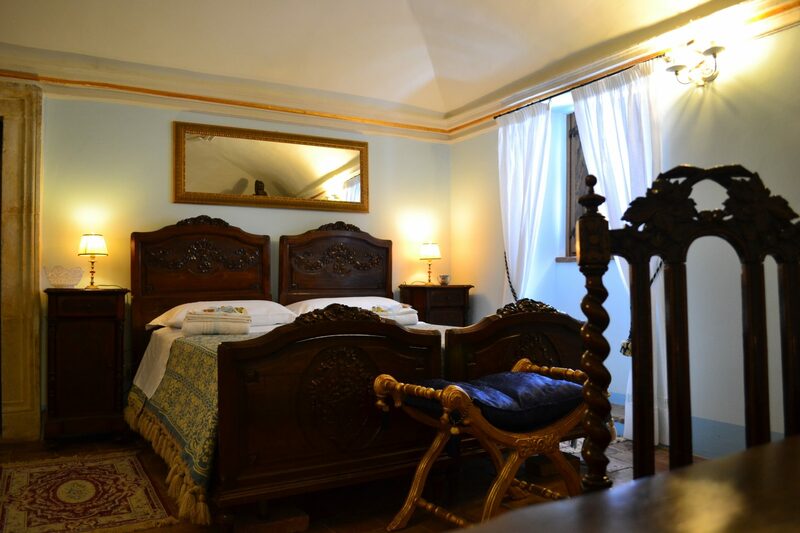 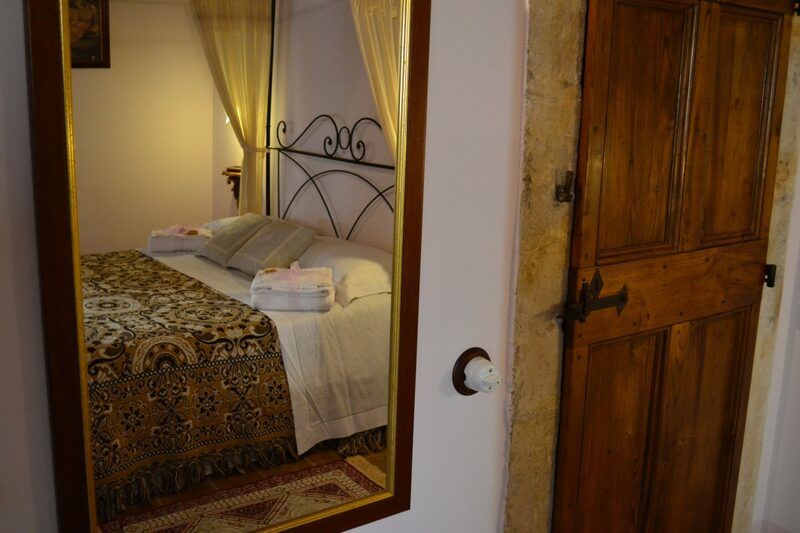 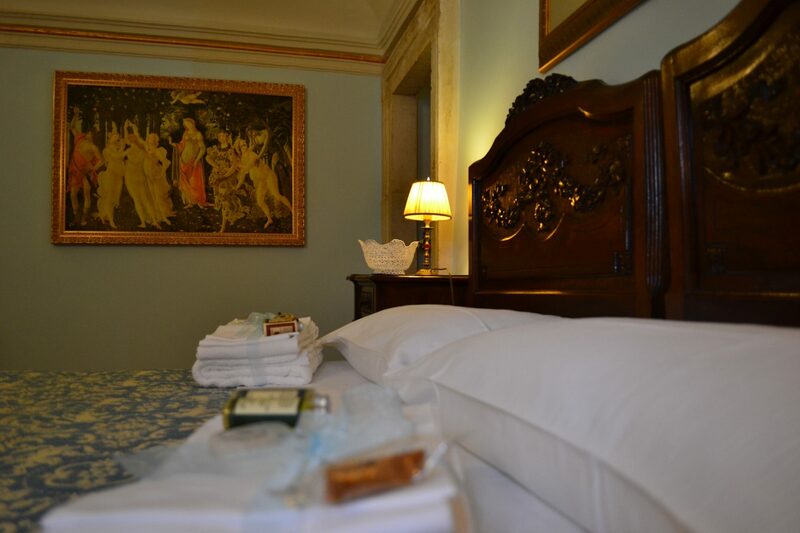 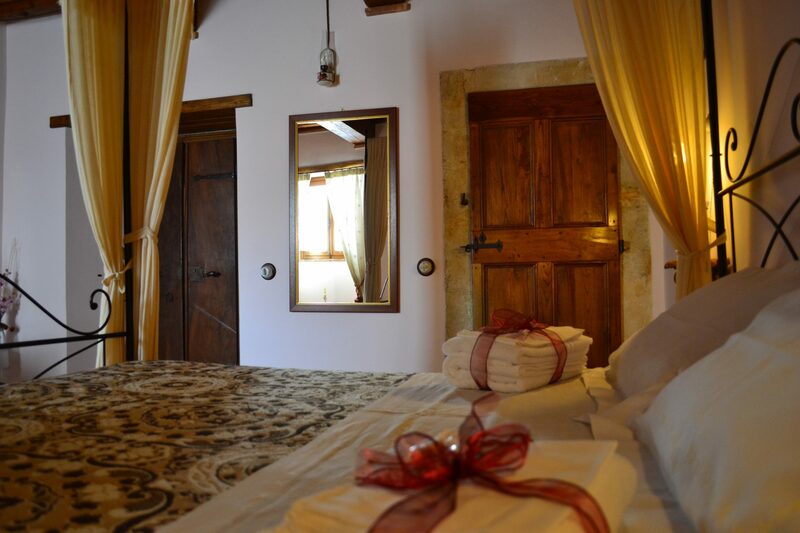 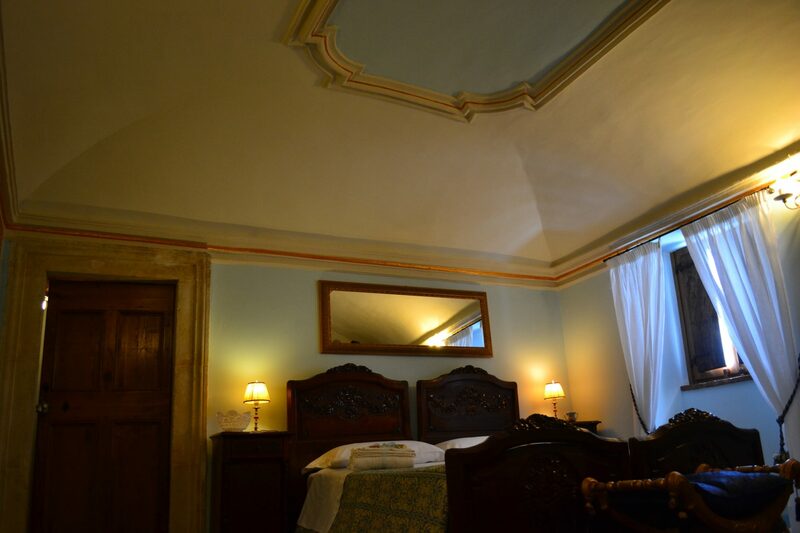 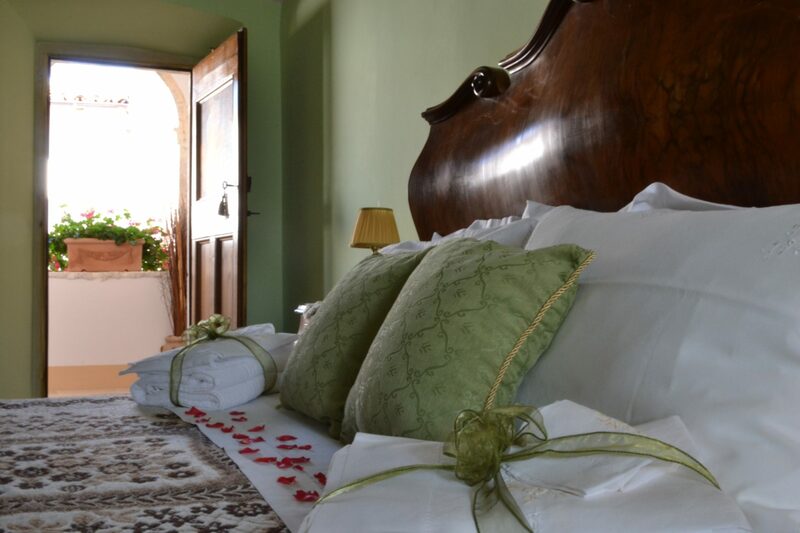 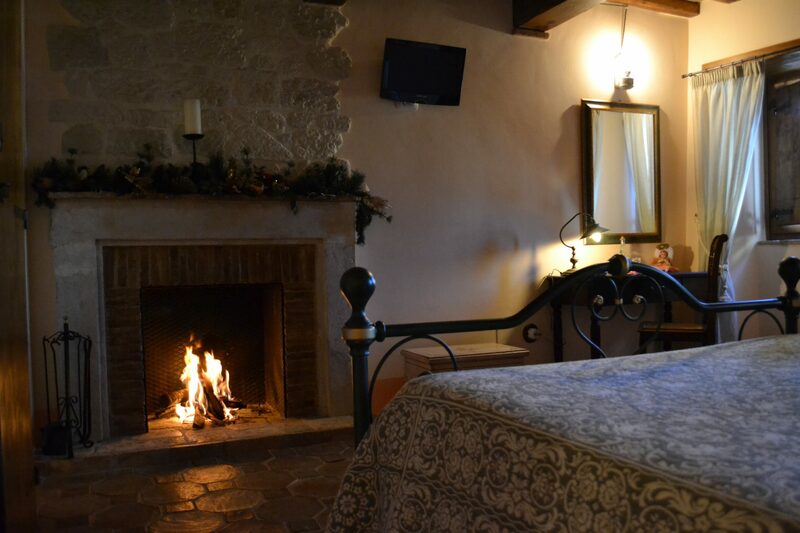 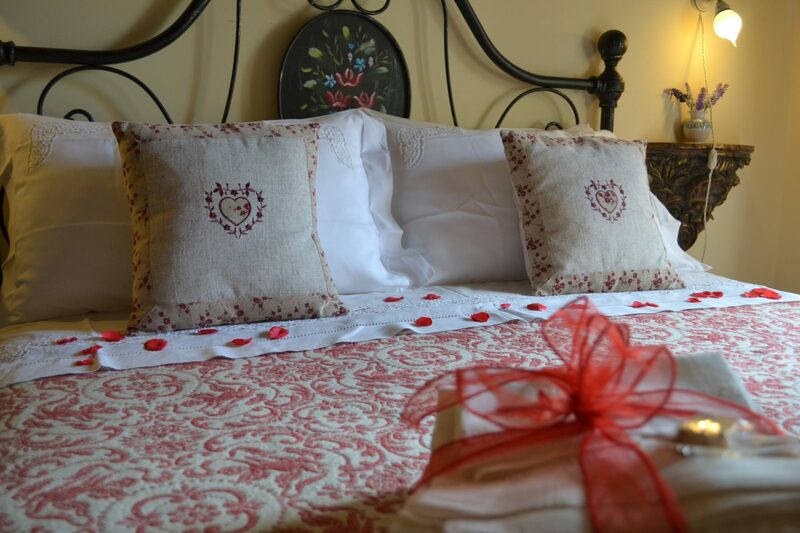 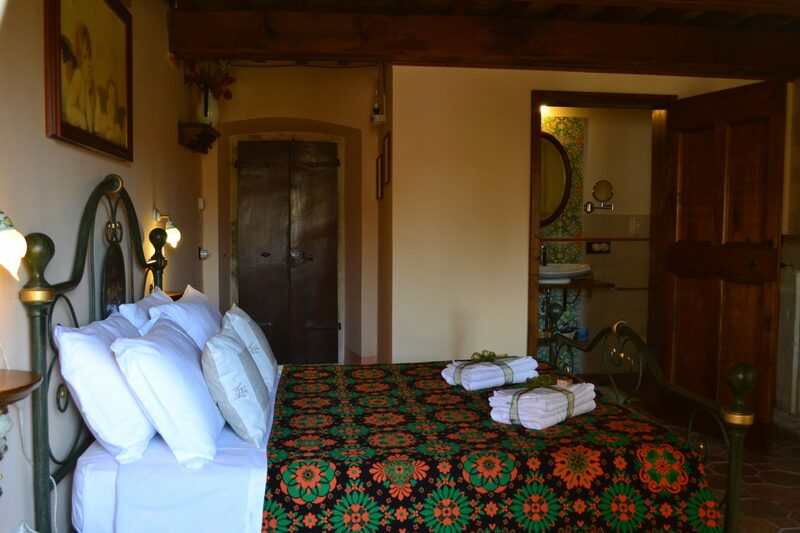 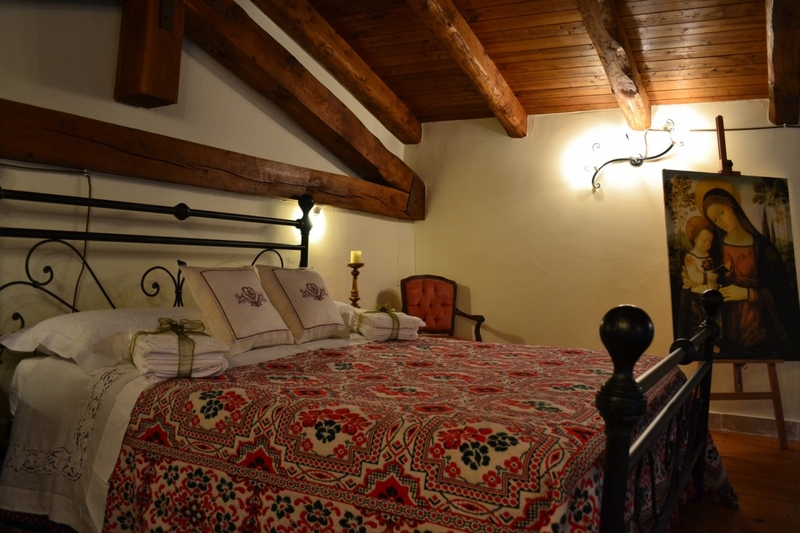 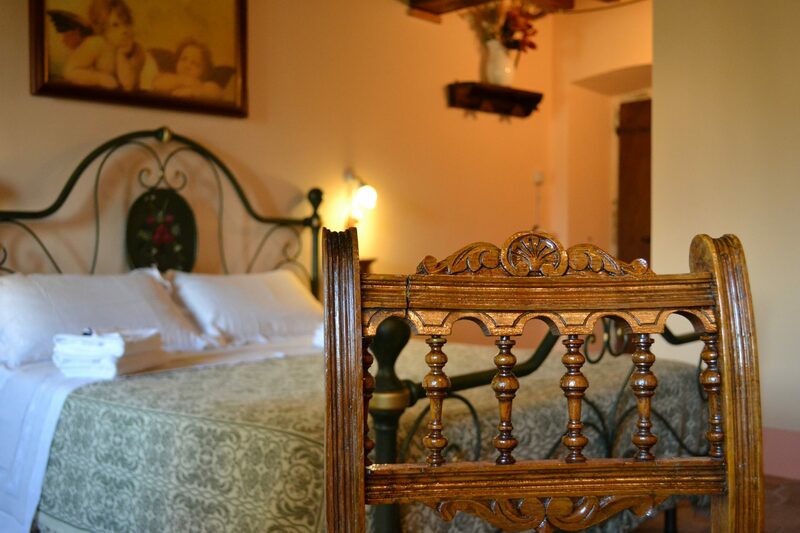 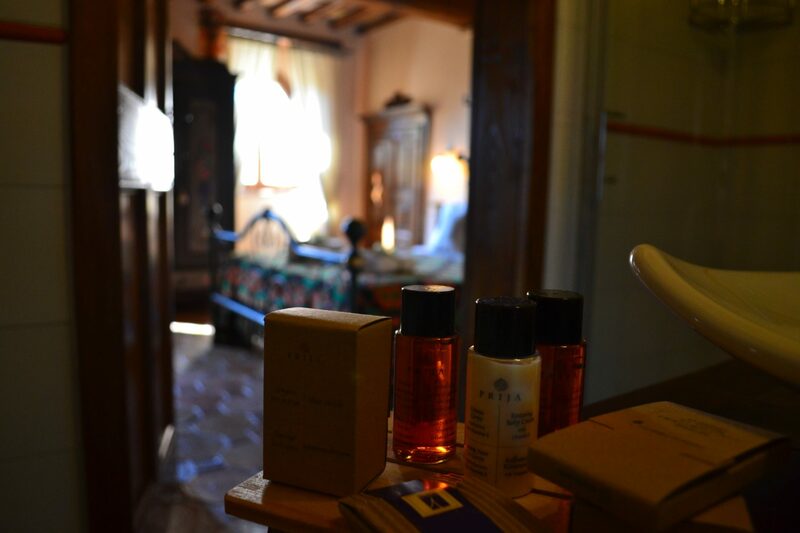 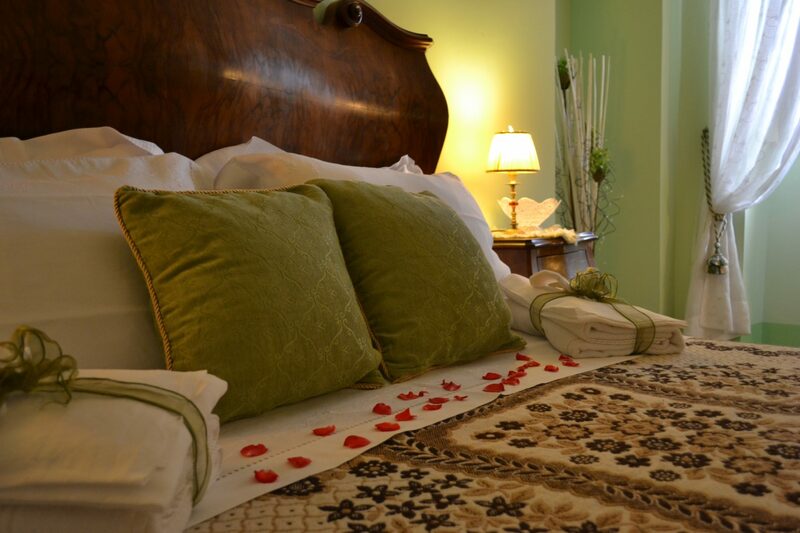 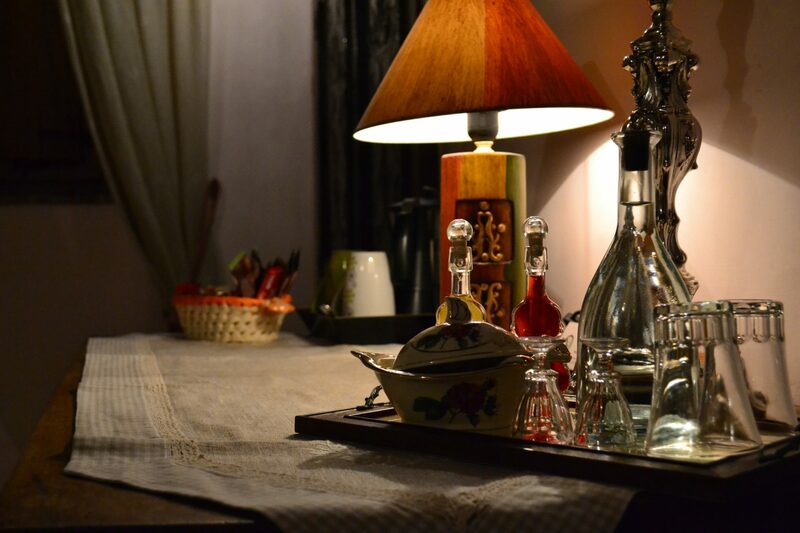 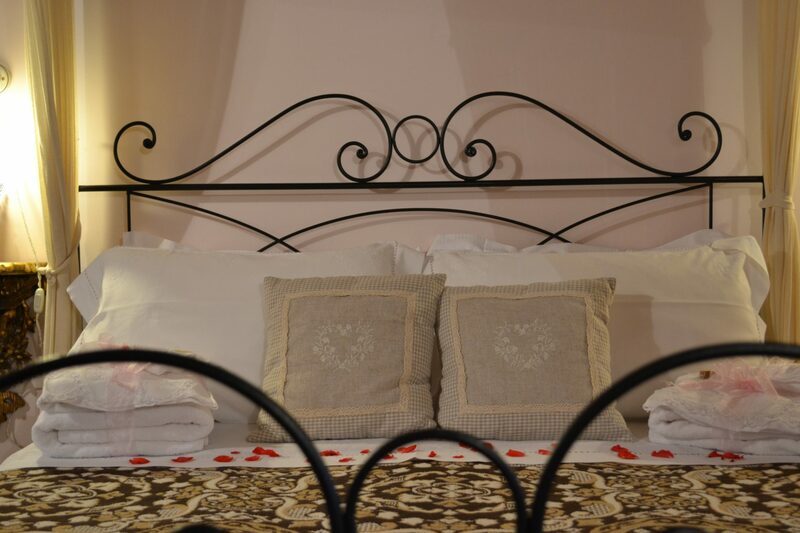 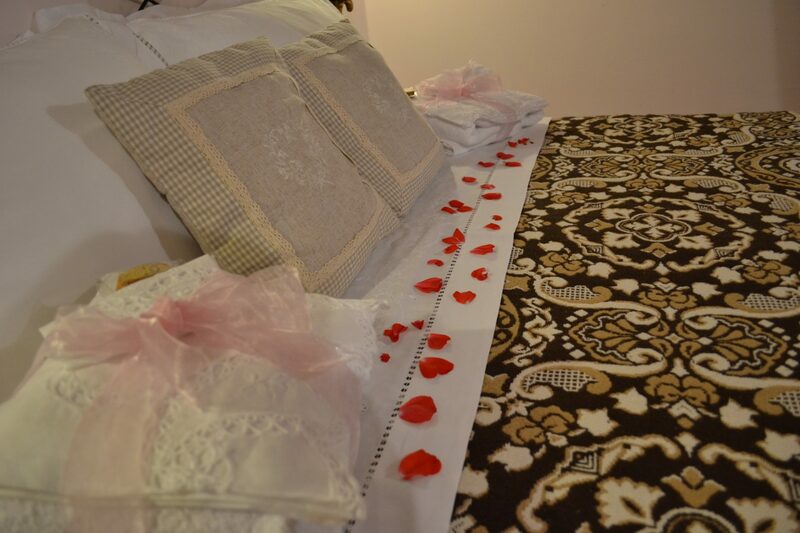 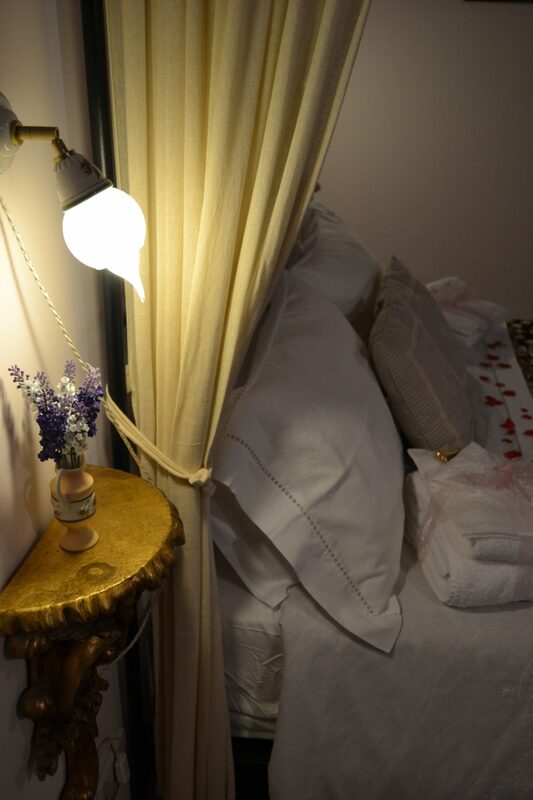 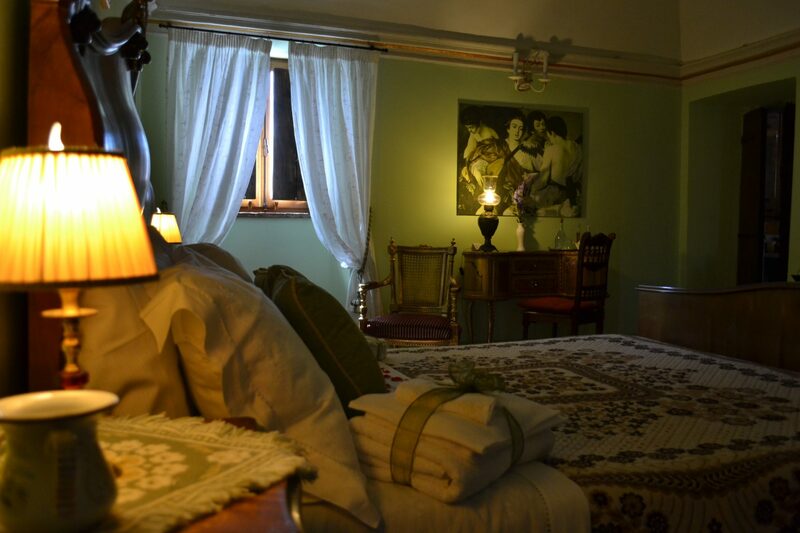 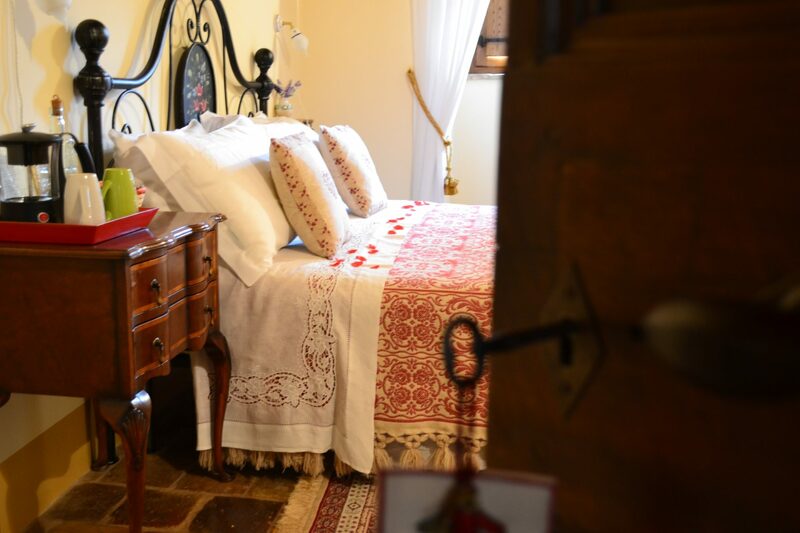 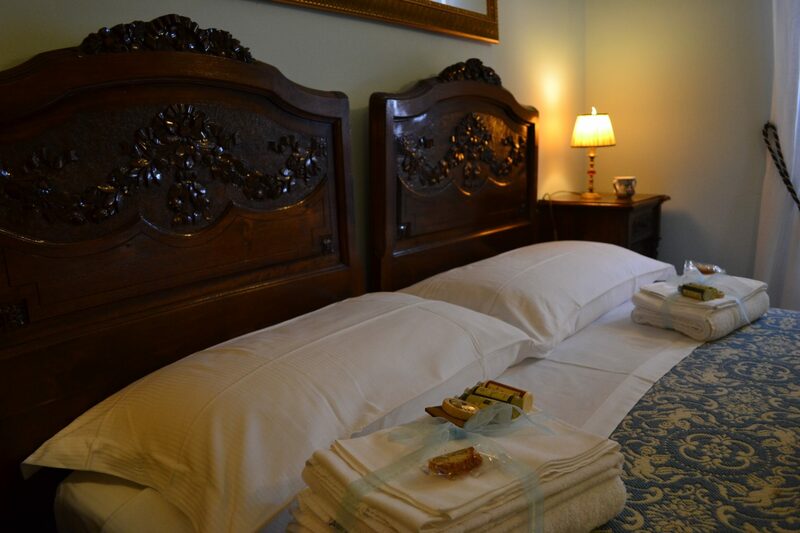 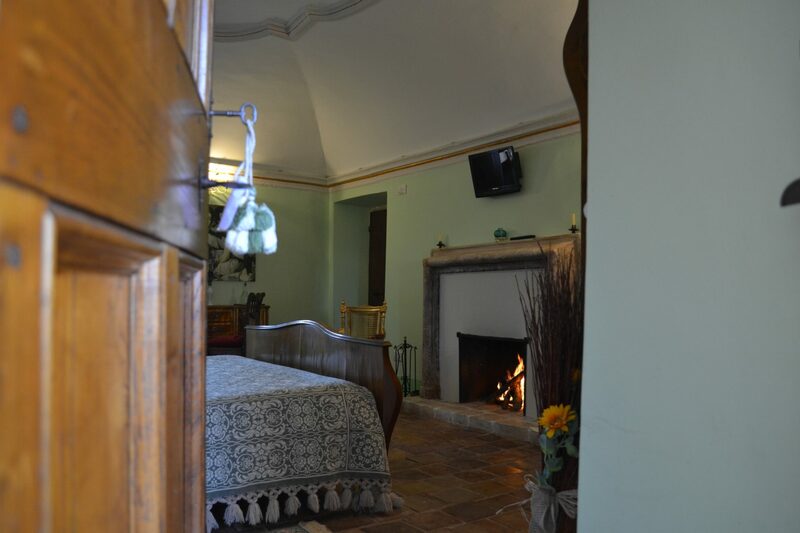 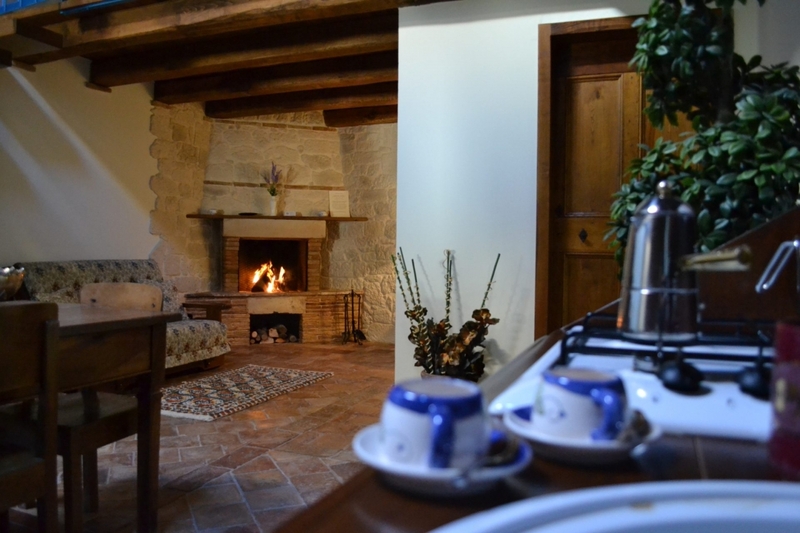 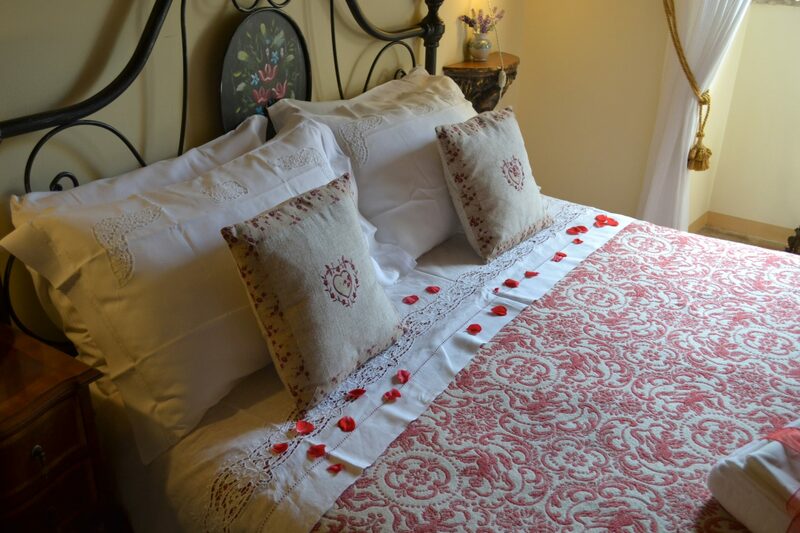 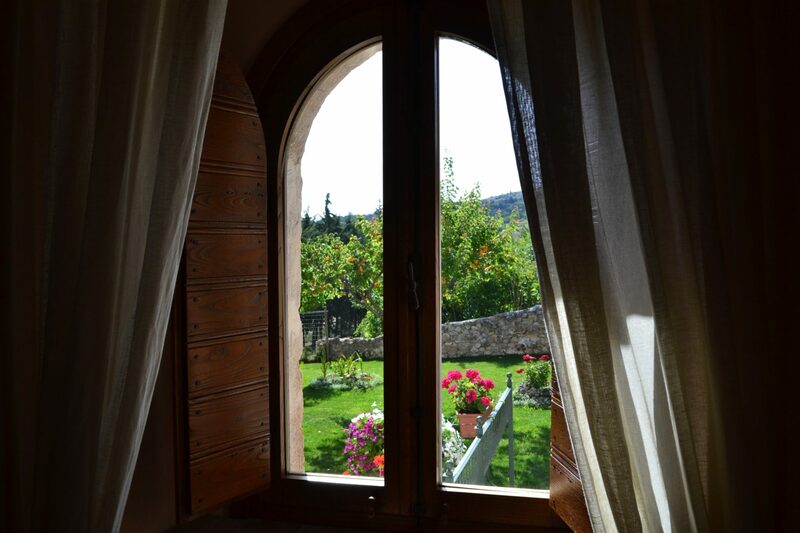 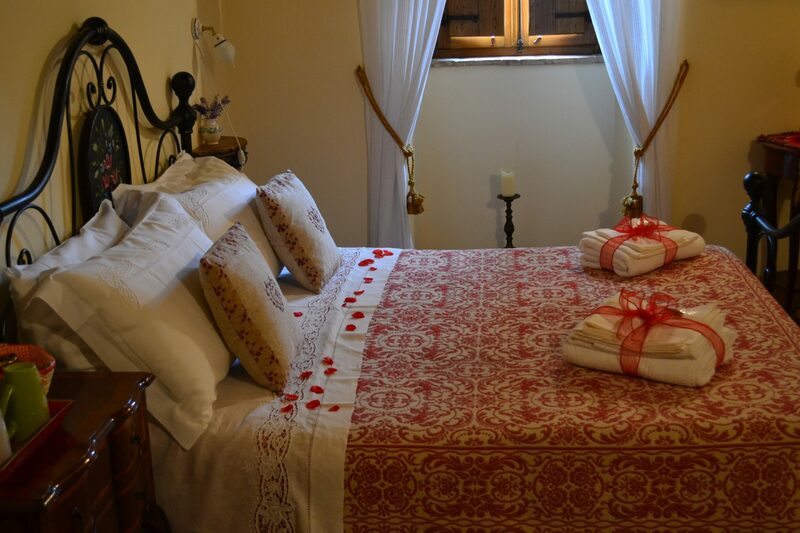 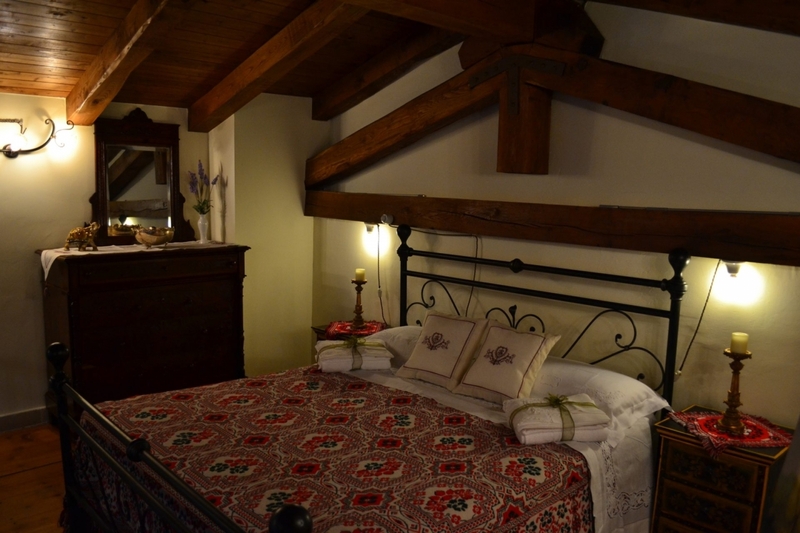 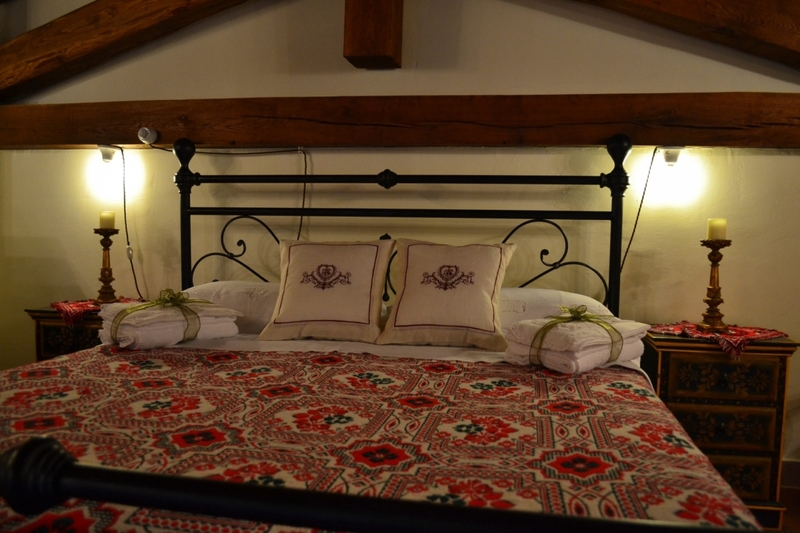 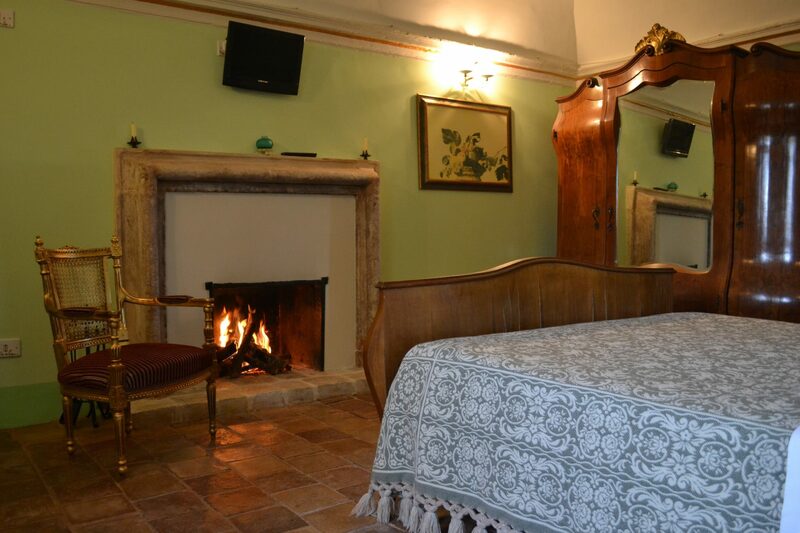 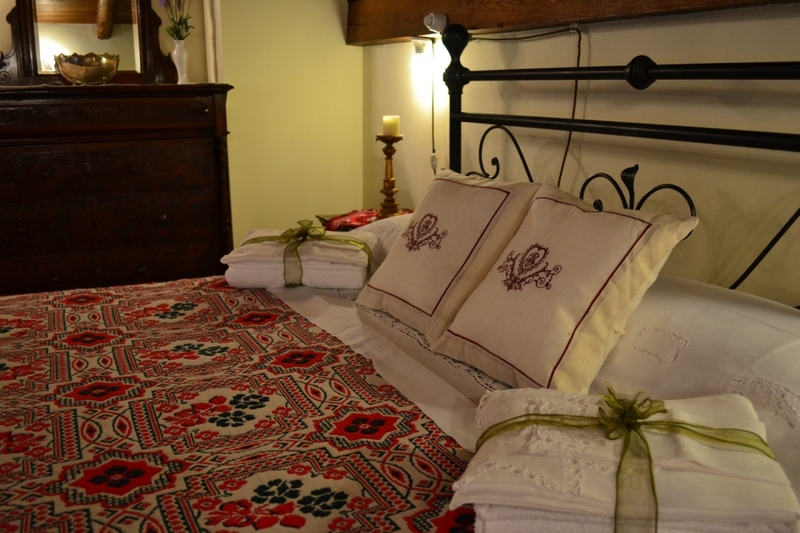 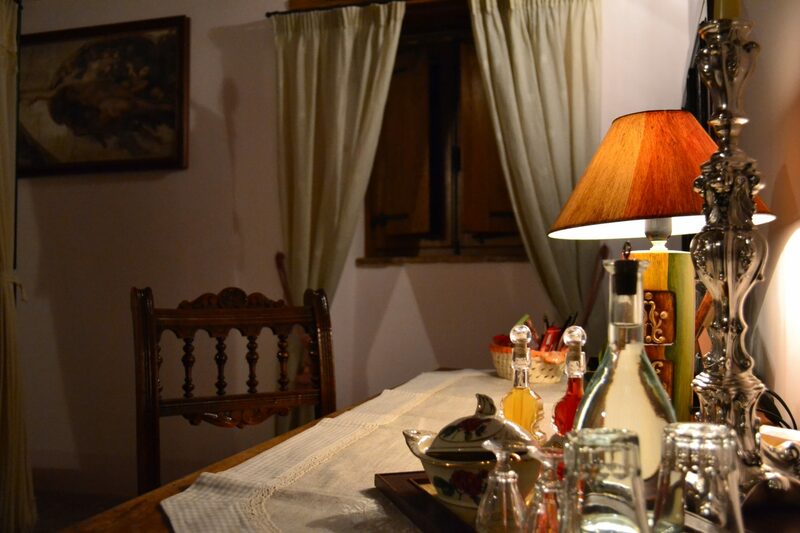 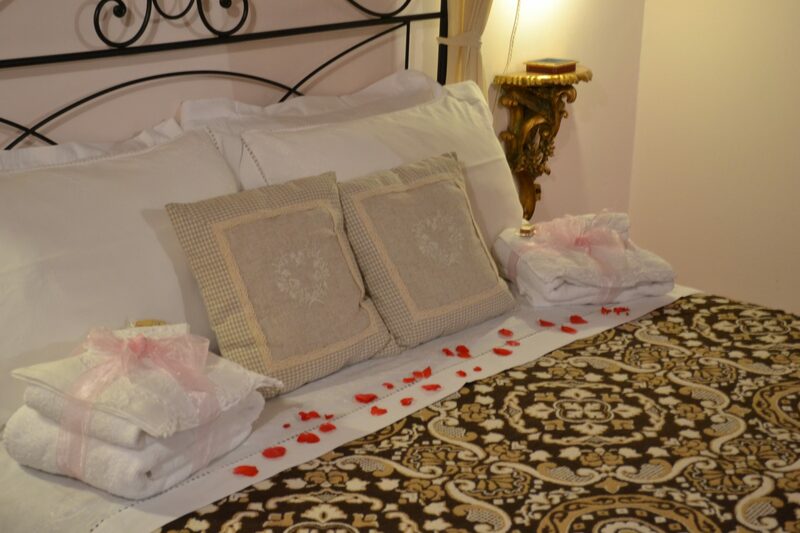 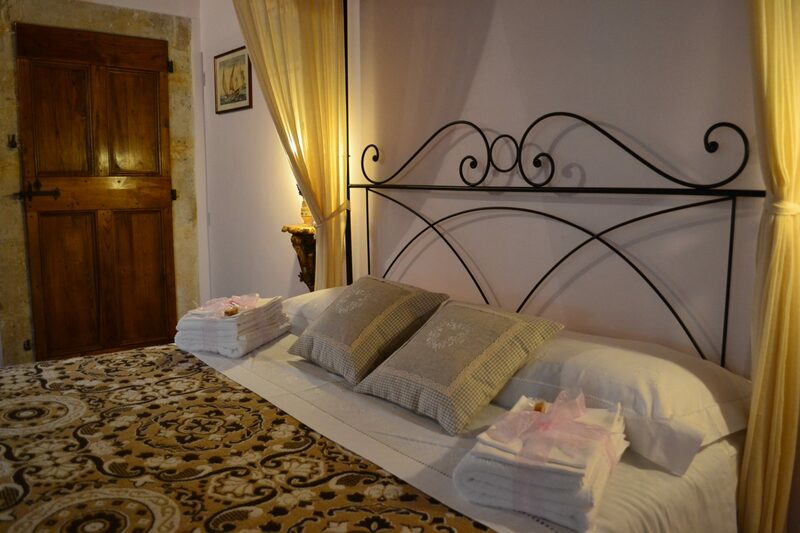 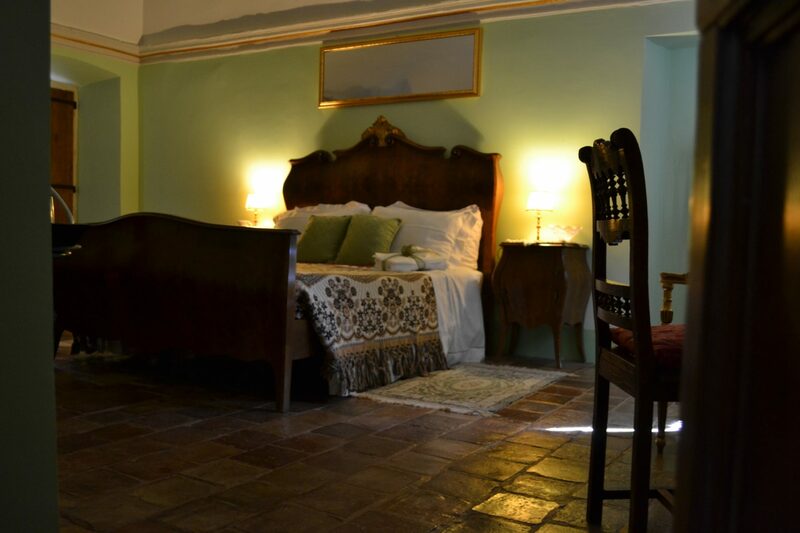 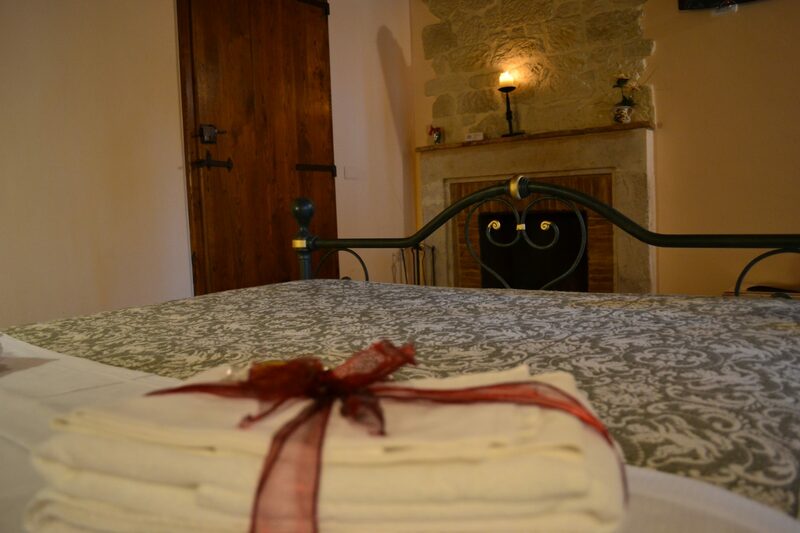 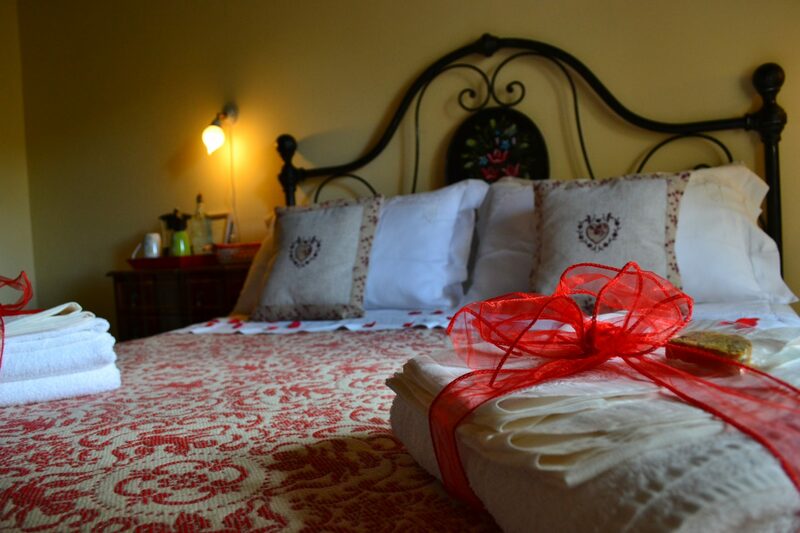 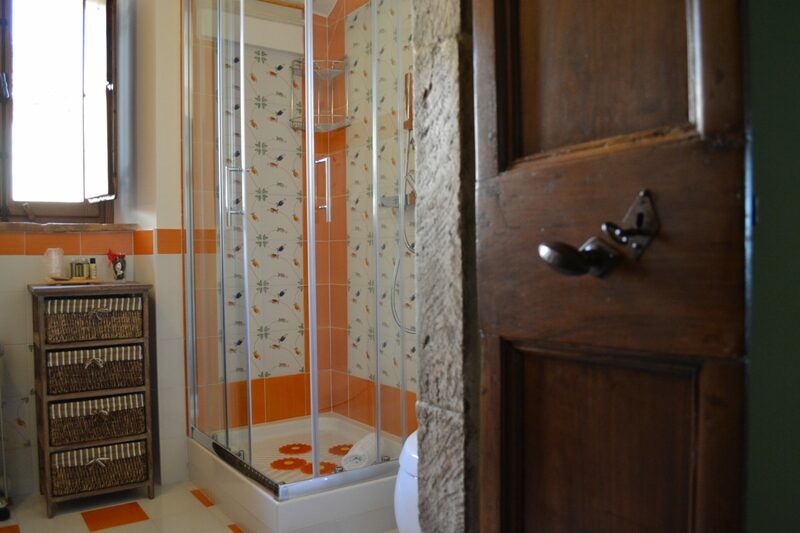 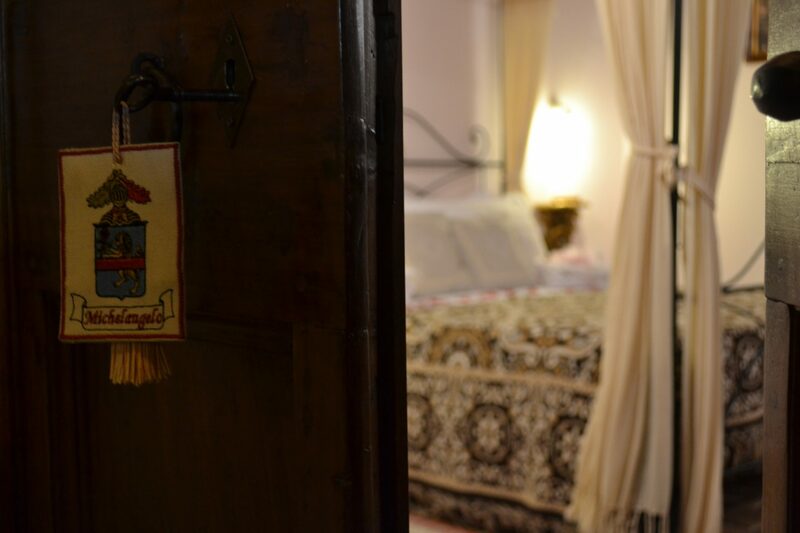 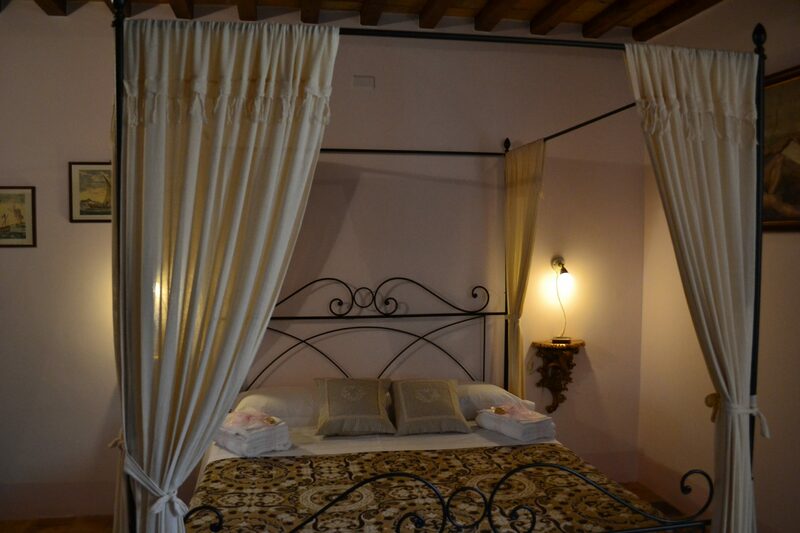 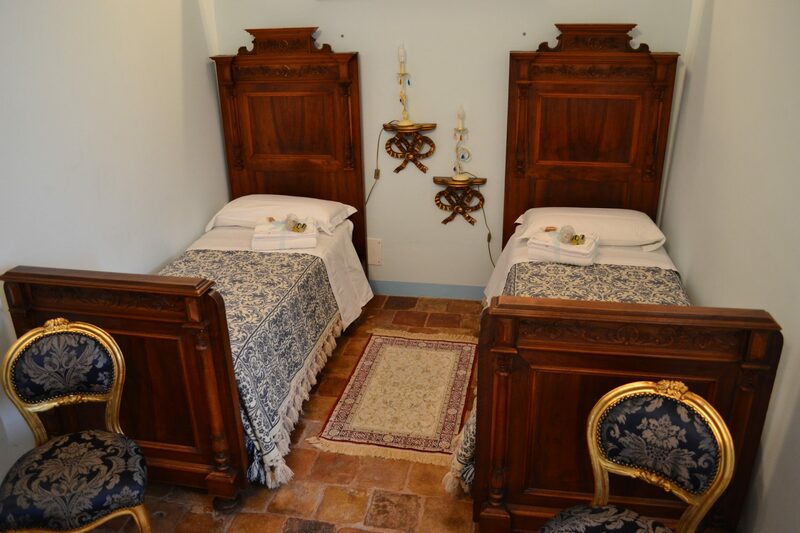 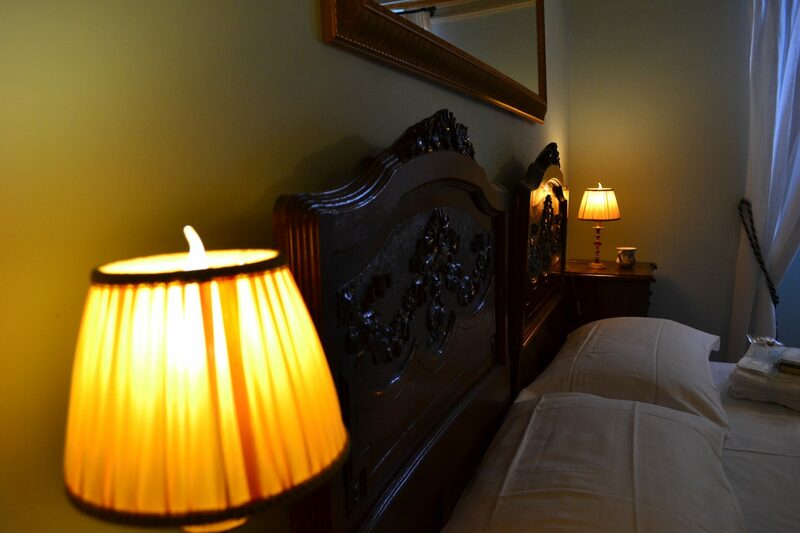 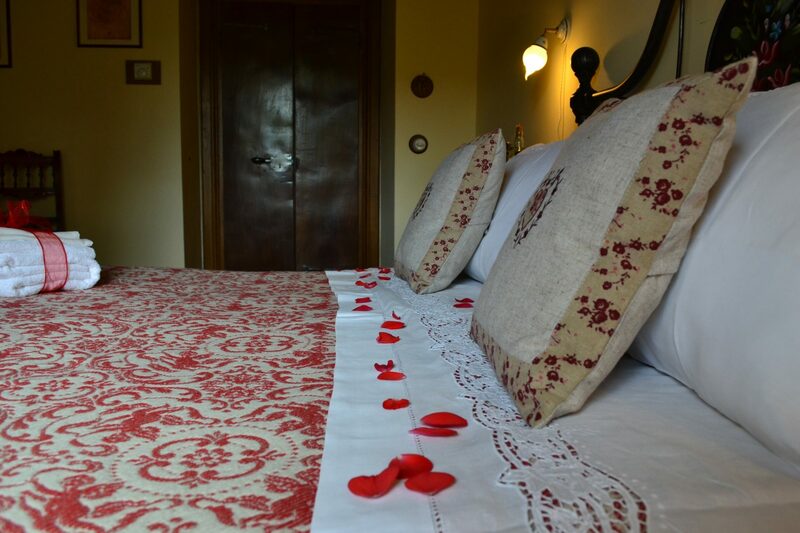 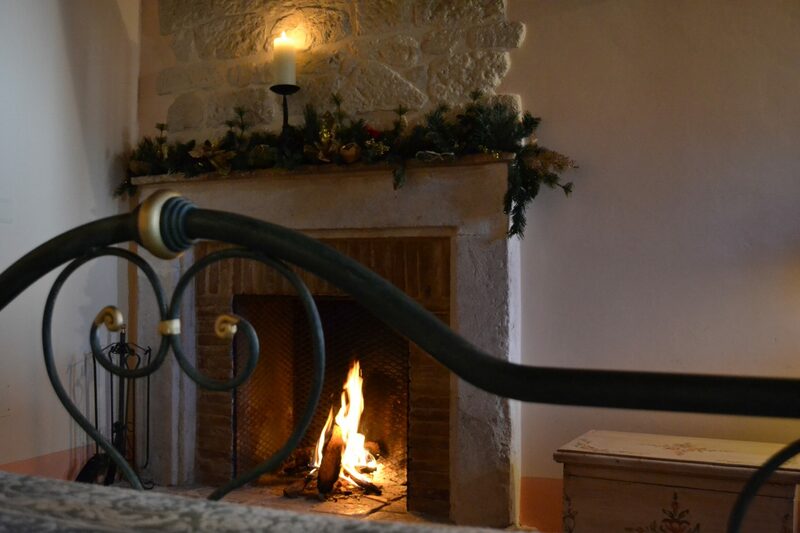 They are equipped with an en suite bathroom decorated with Vietri ceramics and a beautiful view of the “ Large garden. 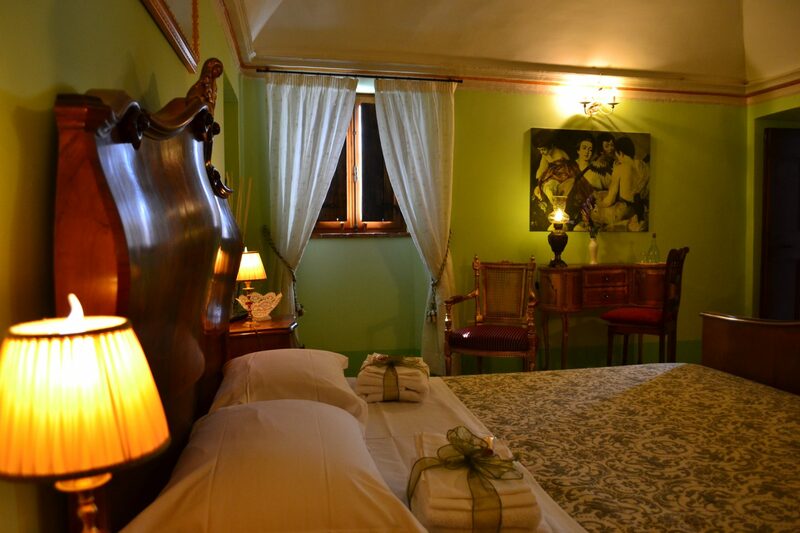 Inspired by one of the celebrated paintings of the homonymous painter, it is furnished according to the style of the era. 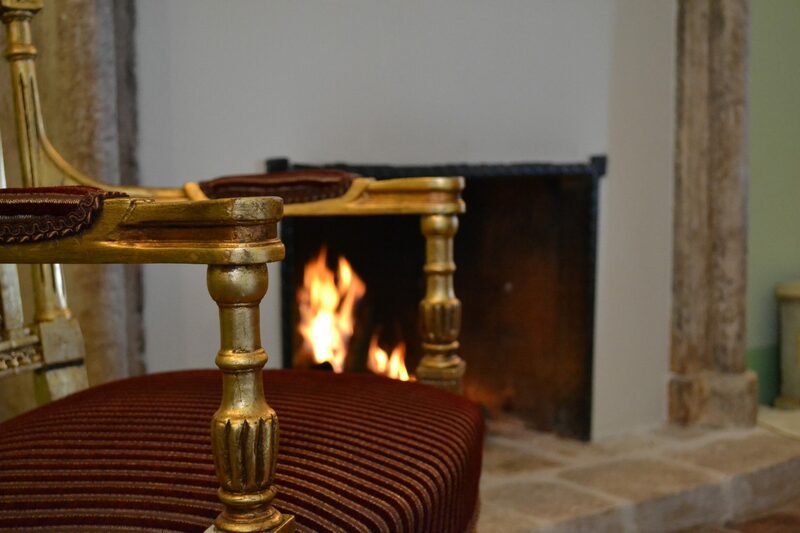 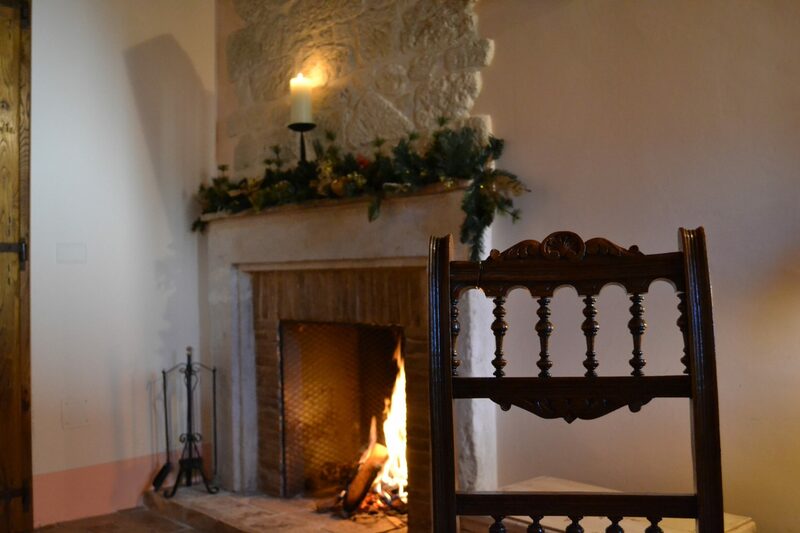 We offer inside a characteristic stone fireplace that can turn on on stiff winter days. 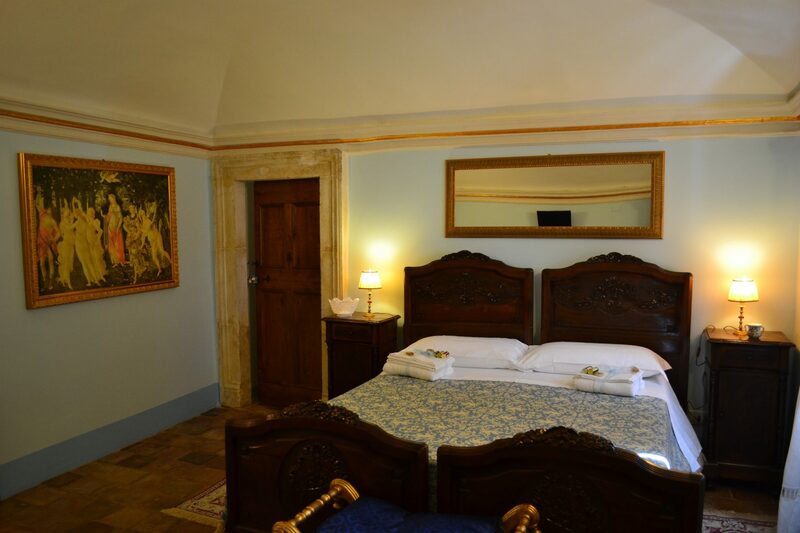 It is a very bright room and has two windows overlooking the large garden. 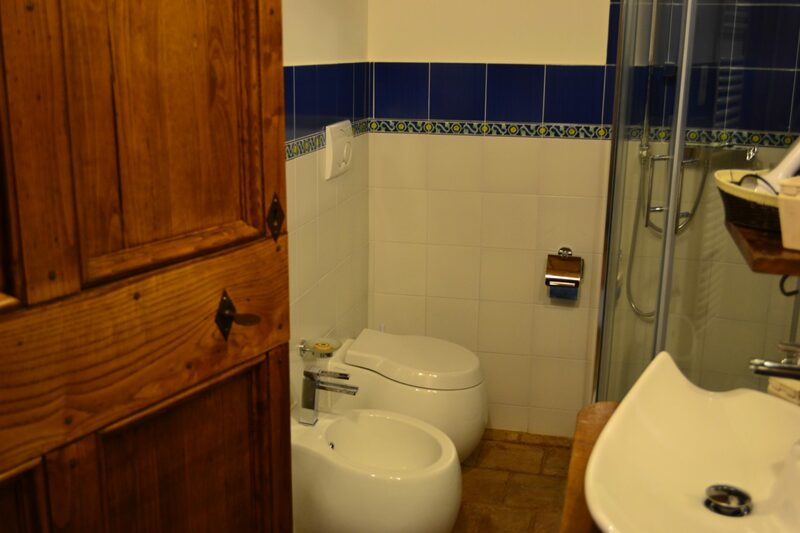 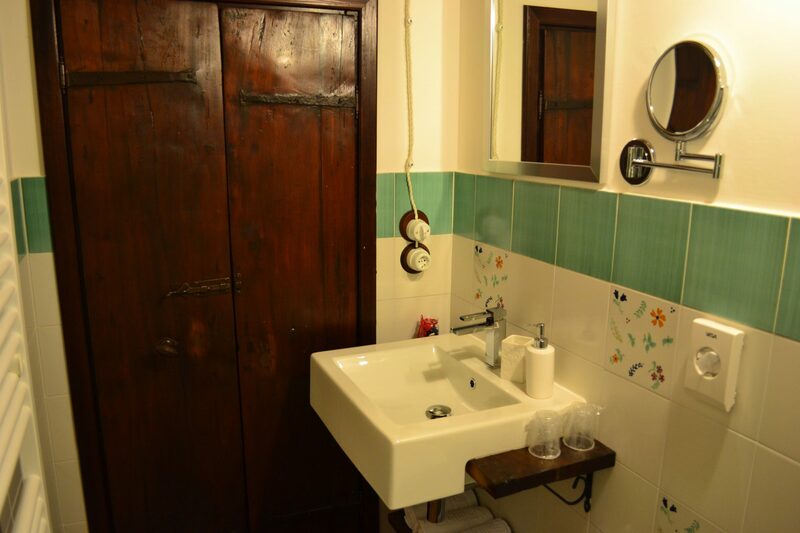 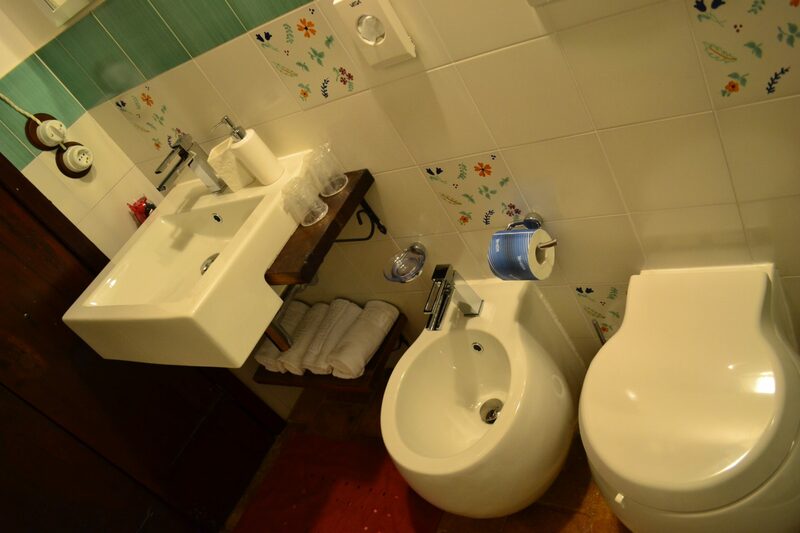 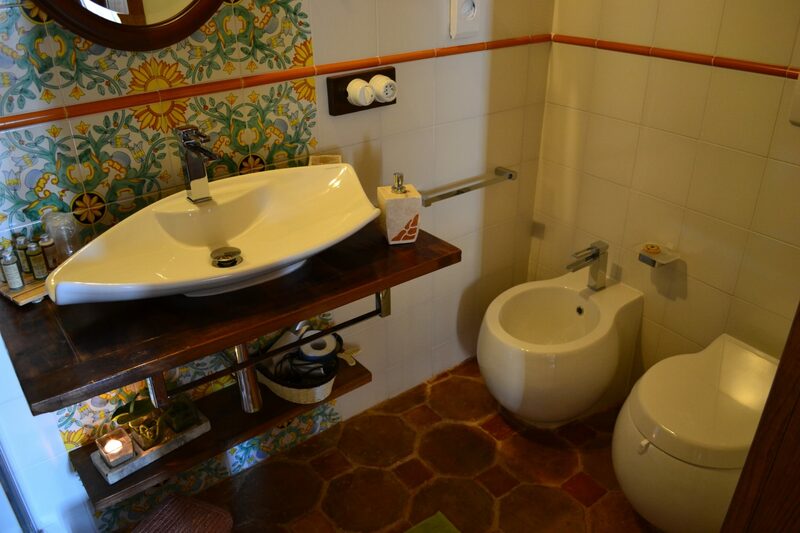 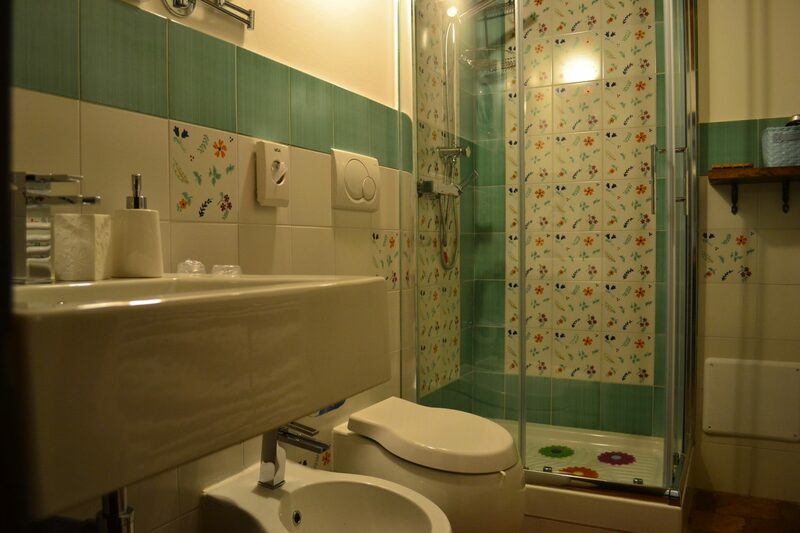 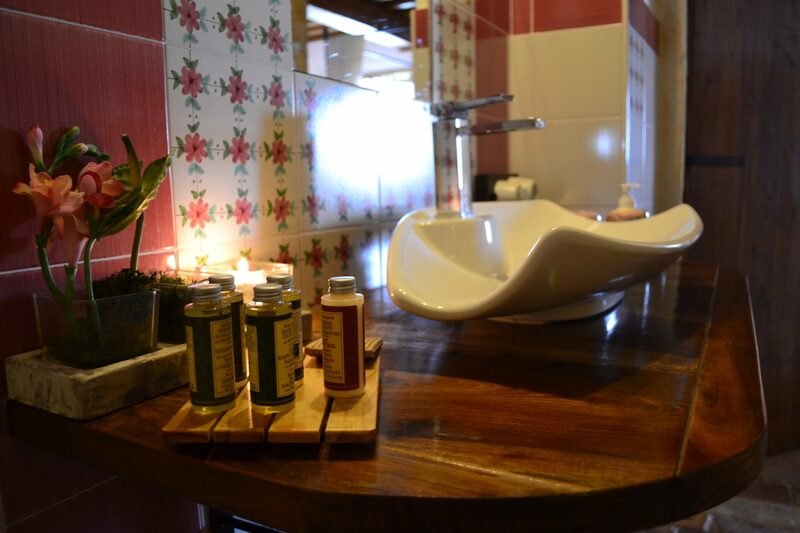 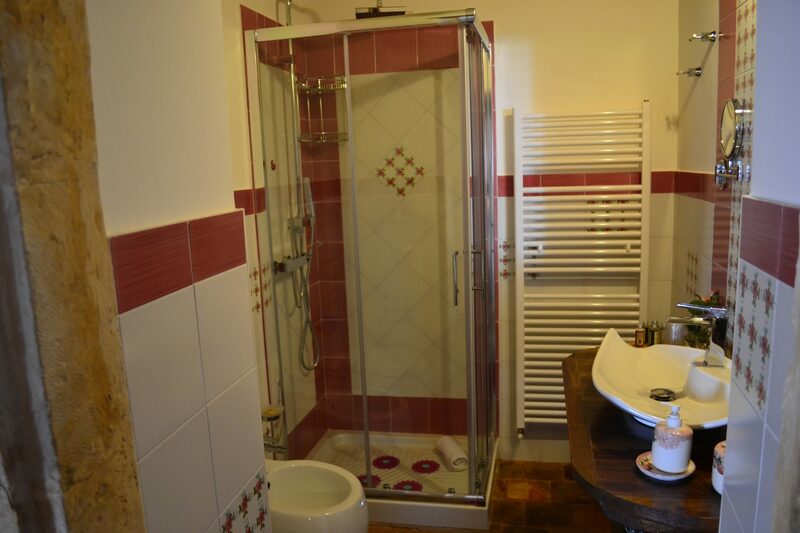 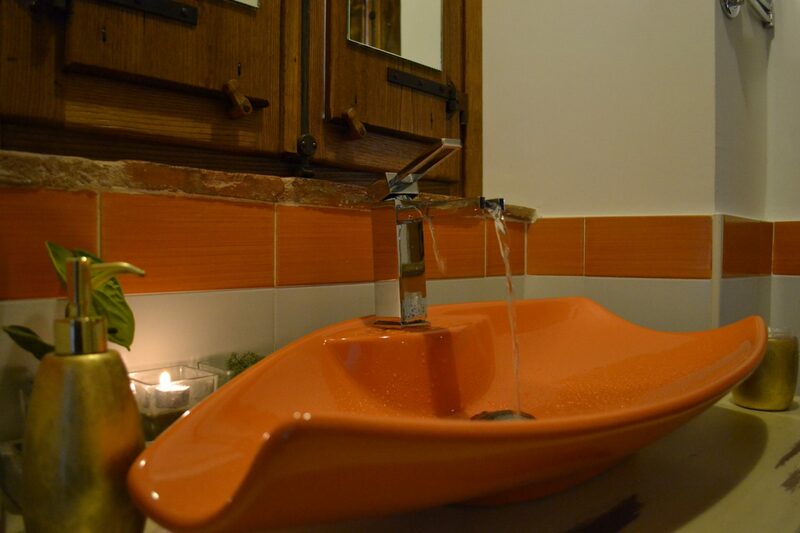 The private bathroom is decorated with hand-painted Vietri ceramics. 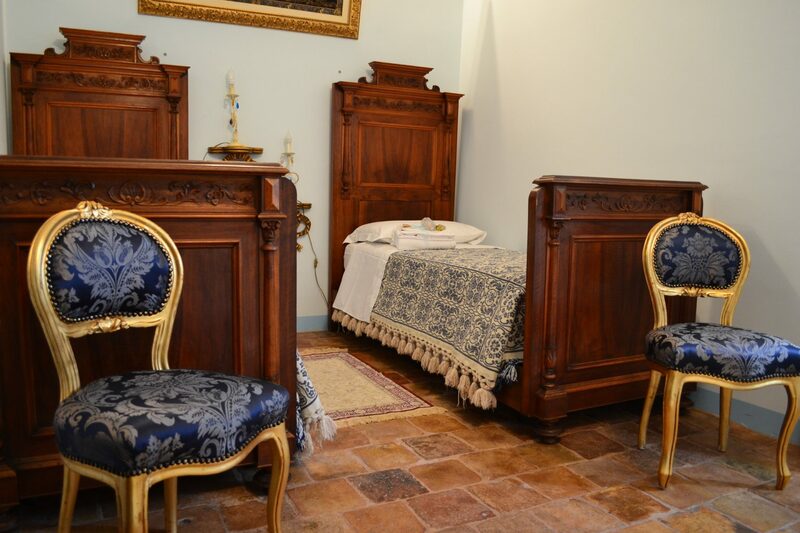 Inspired by the famous painting of the “Creation” of the homonymous painter, it is characterized by the large and particular canopy bed and the “Roccaille” style furnishings. 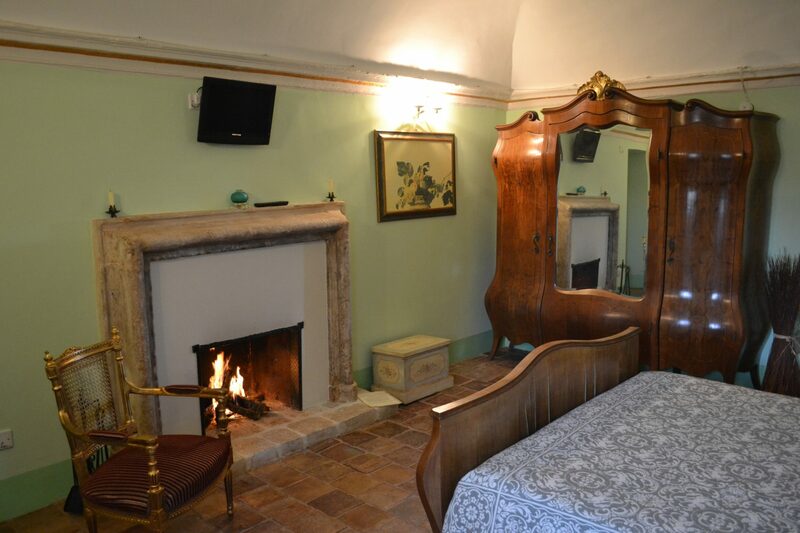 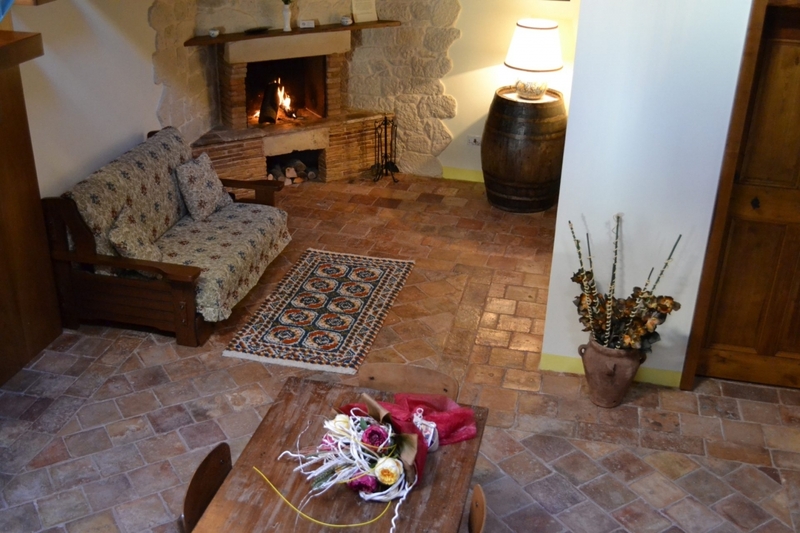 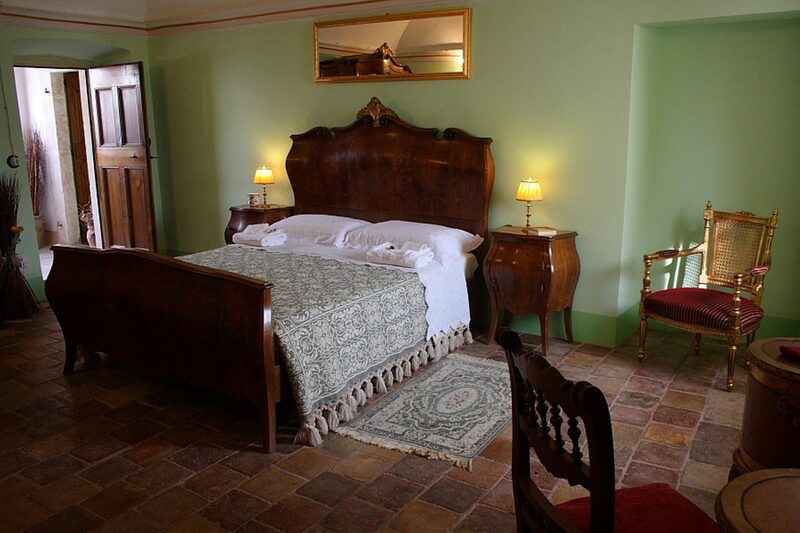 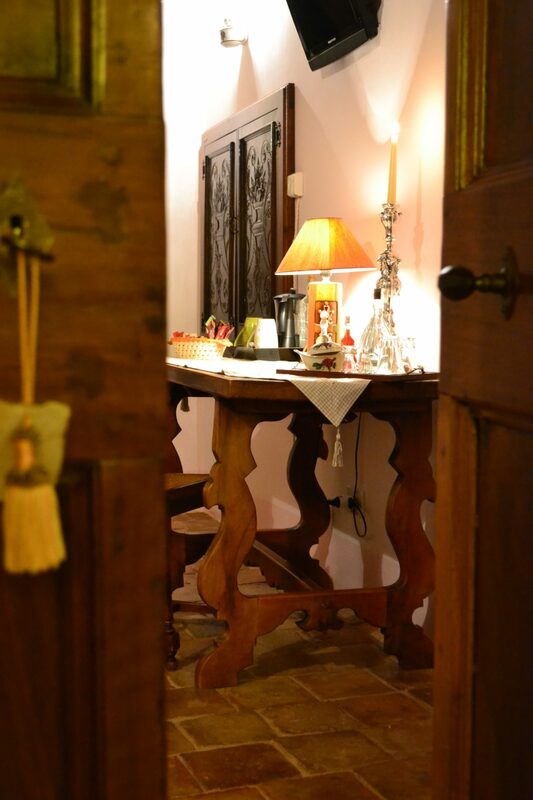 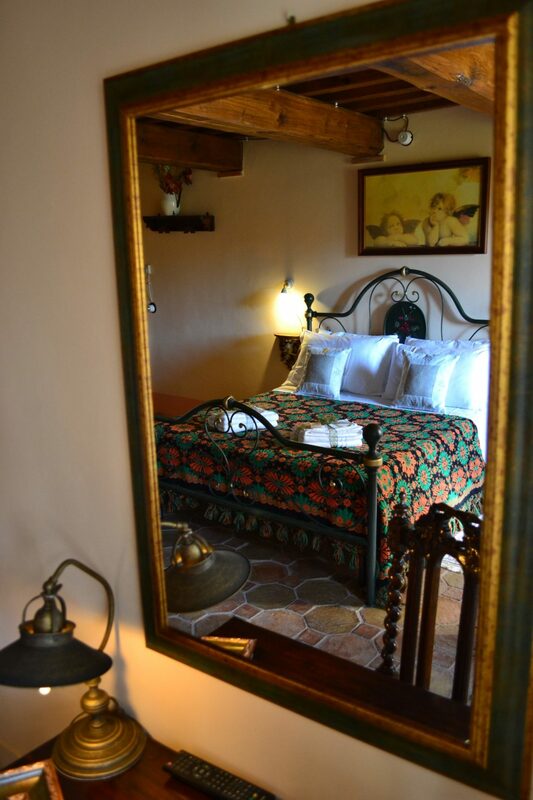 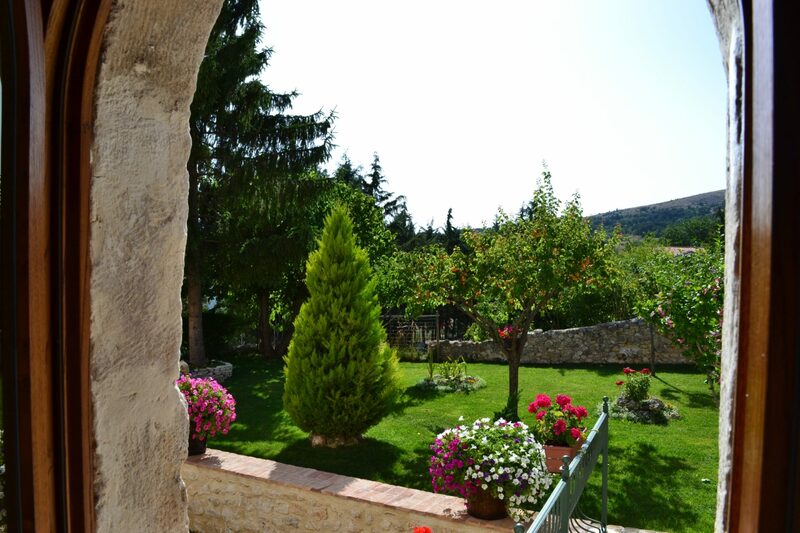 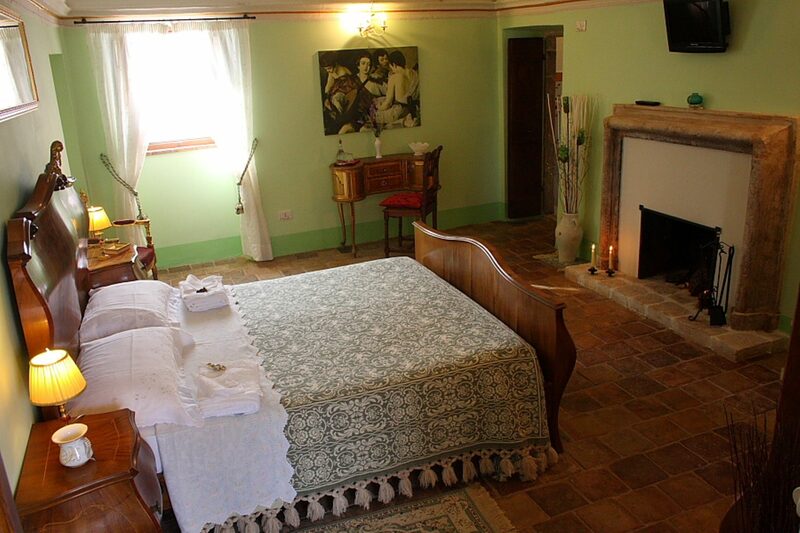 It overlooks the large garden and has a bathroom decorated with hand-painted Vietri ceramics. 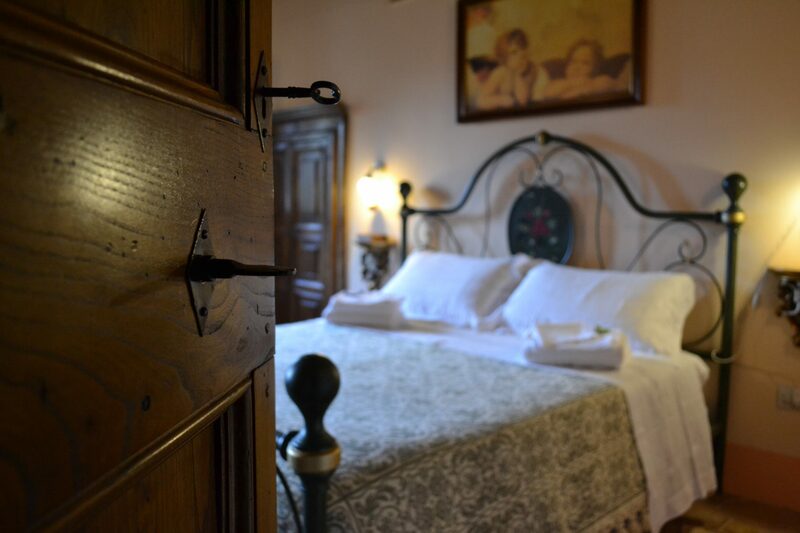 Inspired by the famous painting of the homonymous painter “L’Ultima Dena”, it is furnished with wrought iron bed and hand-painted closet. 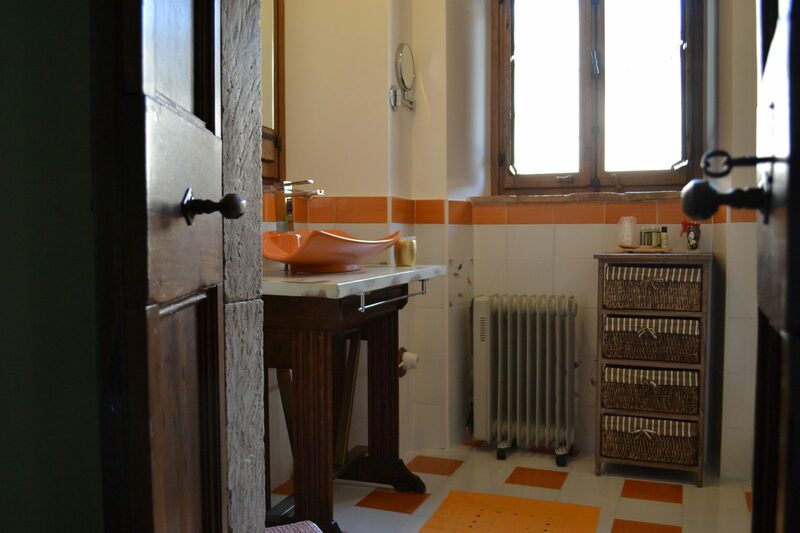 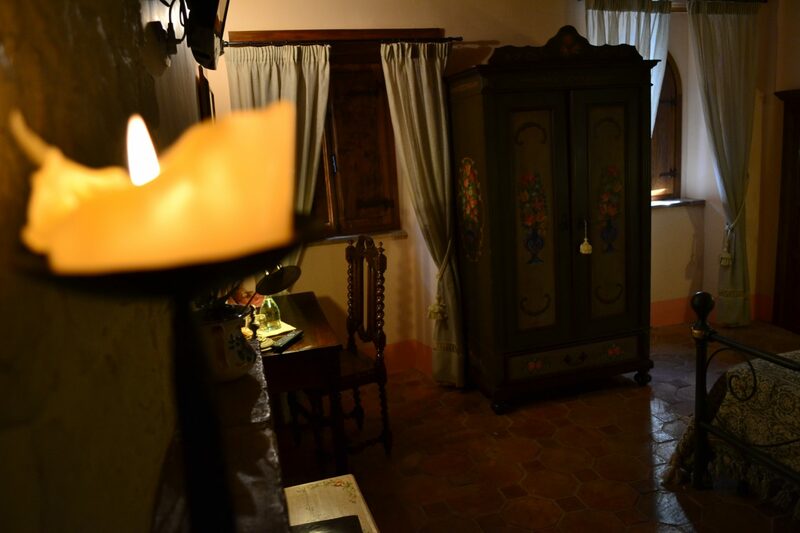 It overlooks the large garden and has a bathroom covered with hand-painted Vietri ceramics.